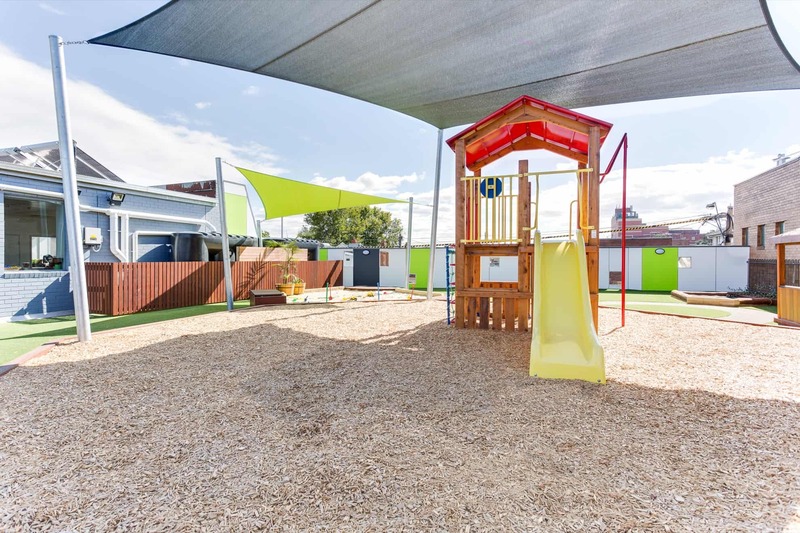 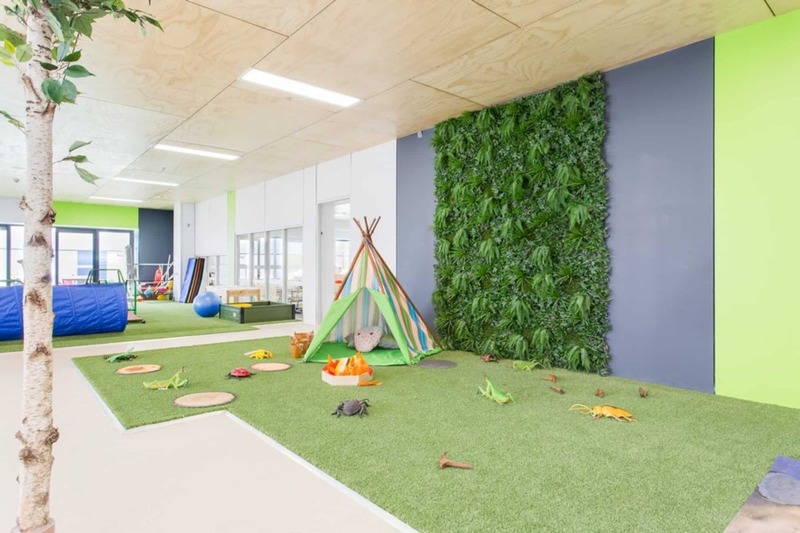 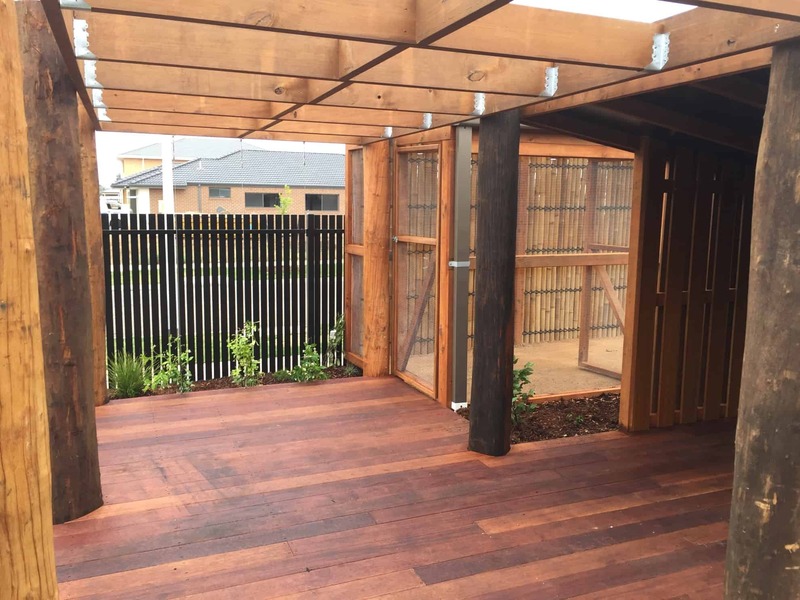 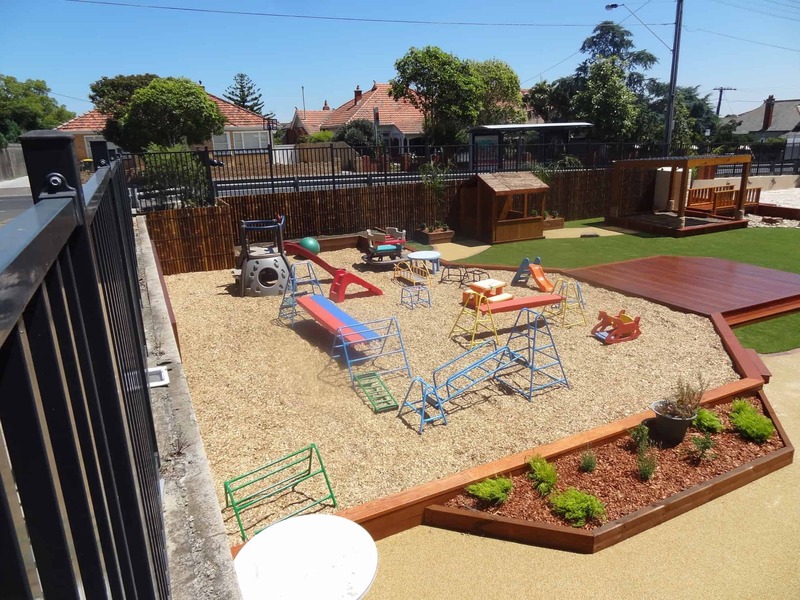 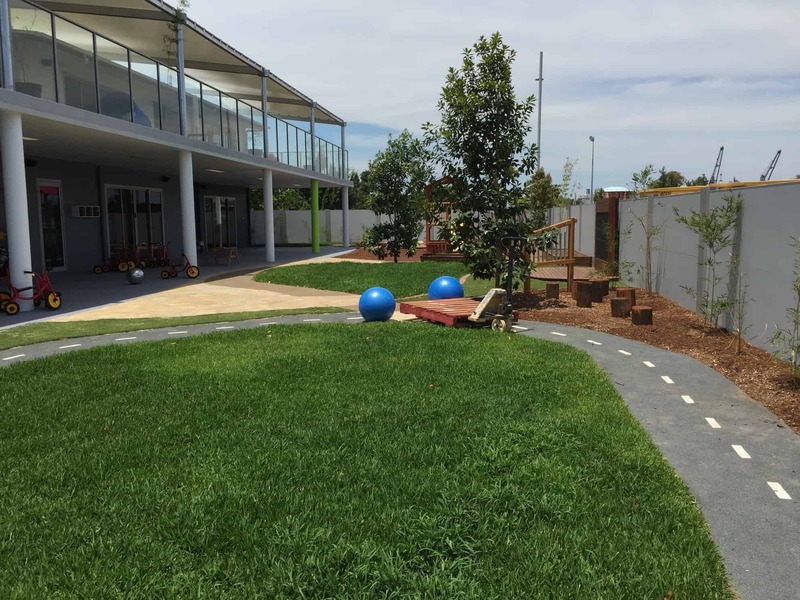 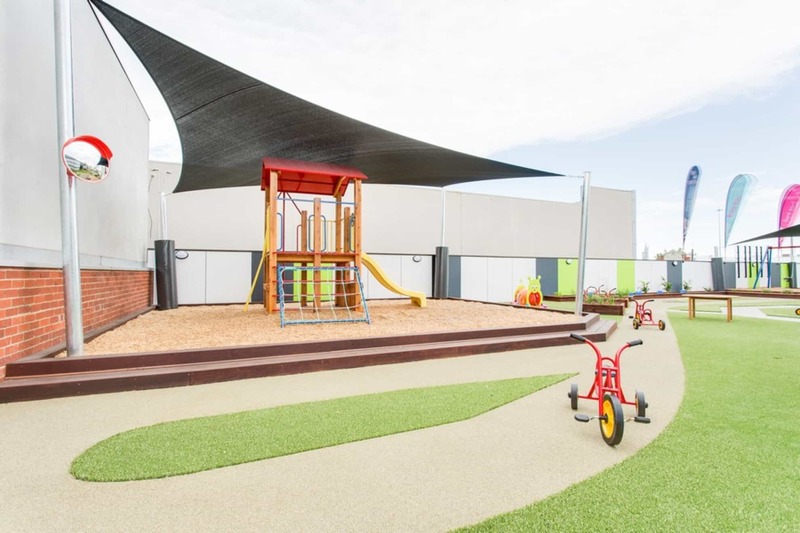 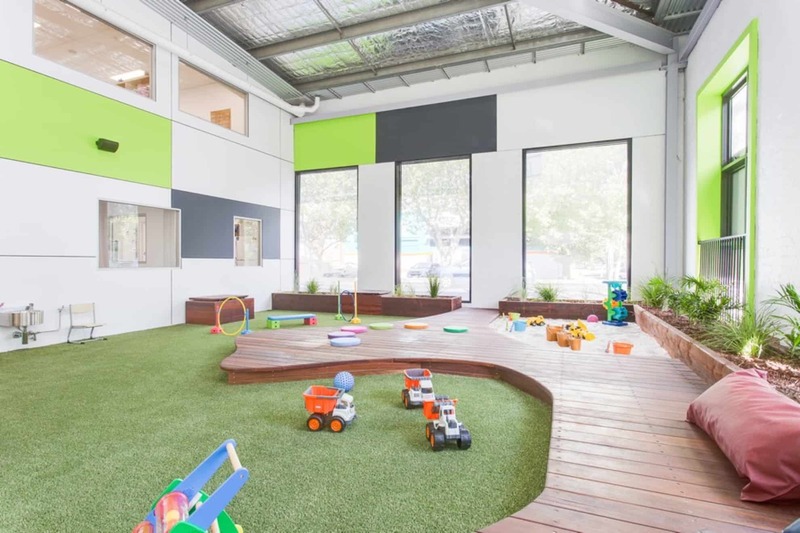 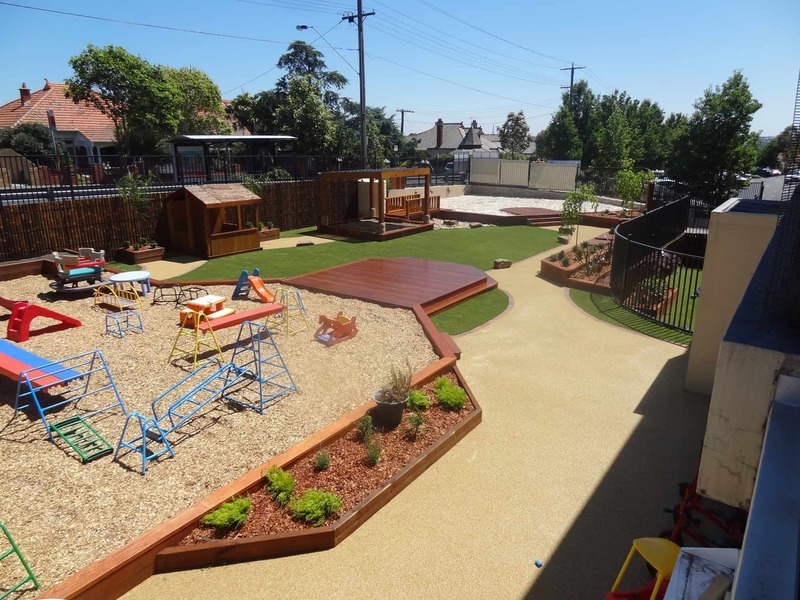 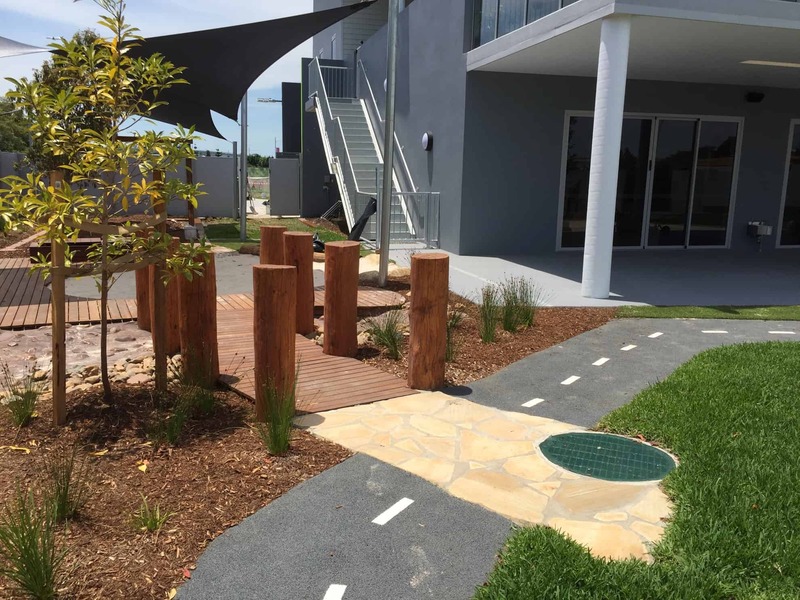 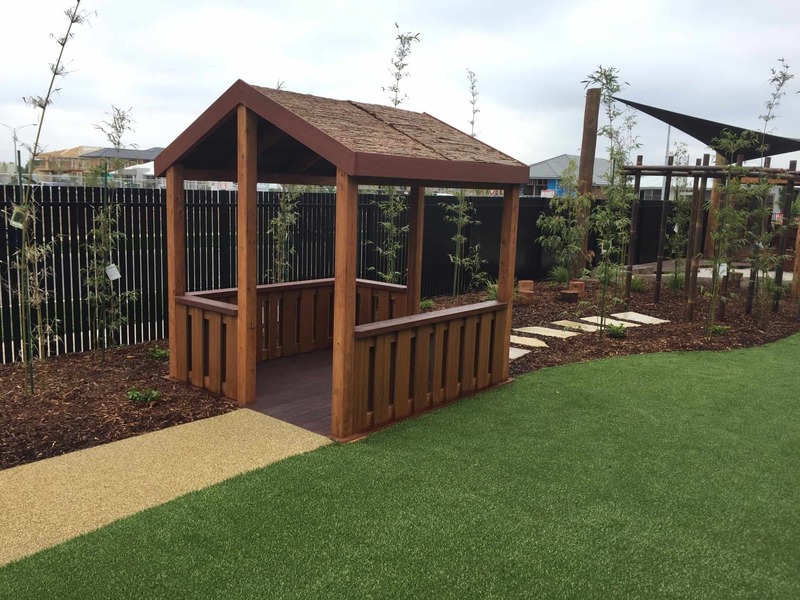 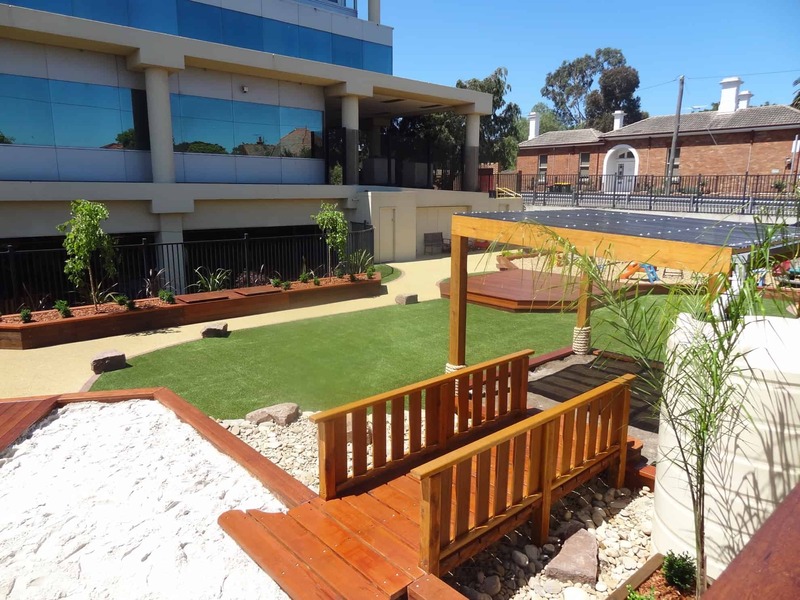 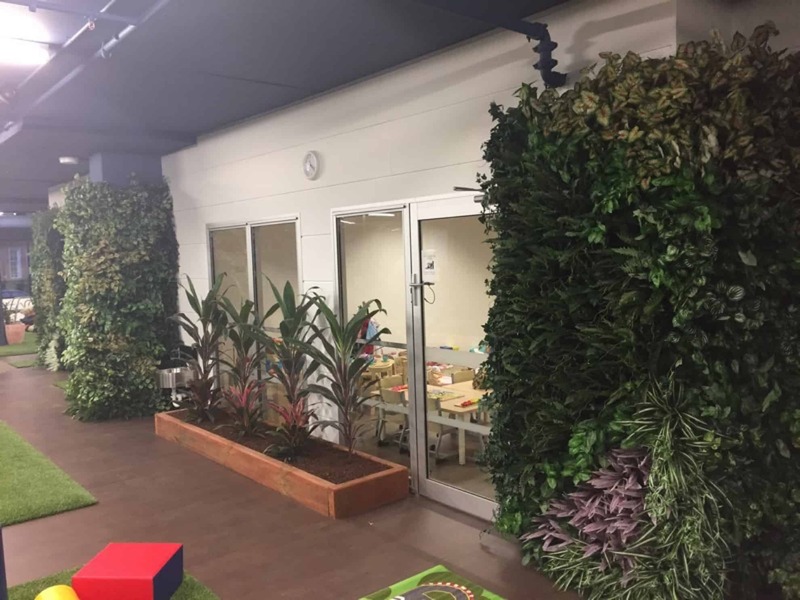 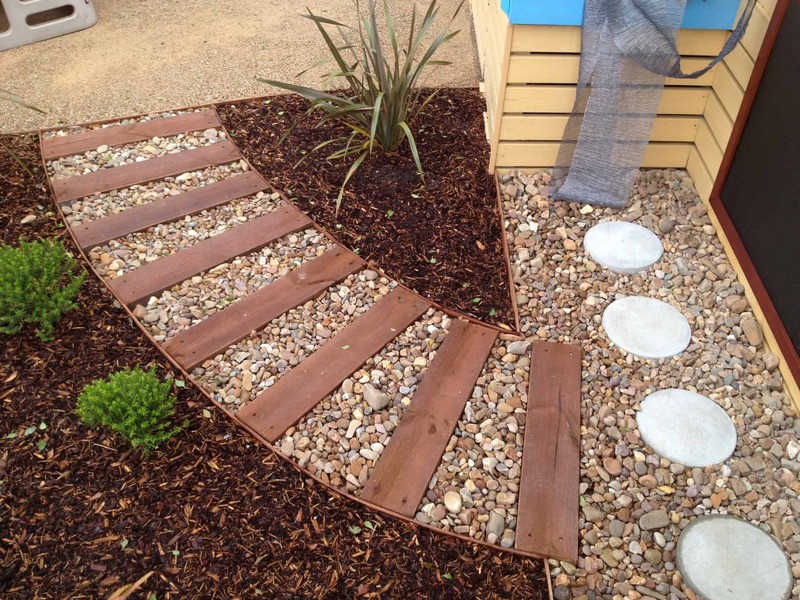 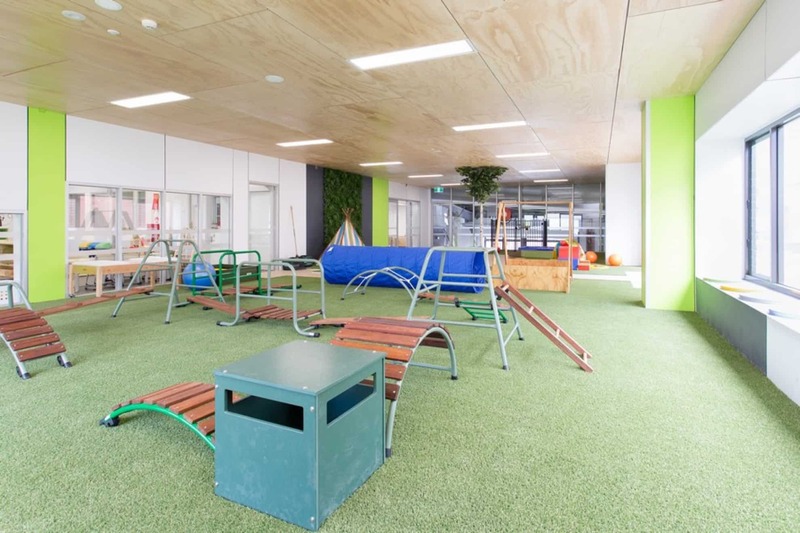 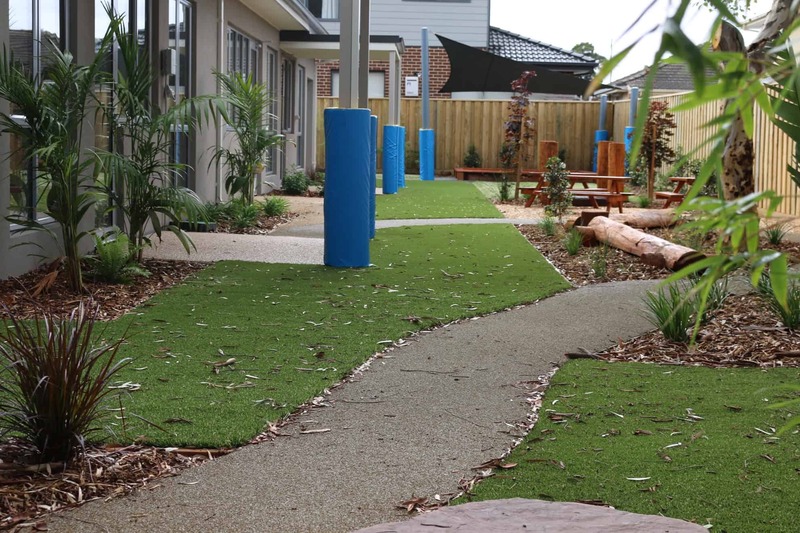 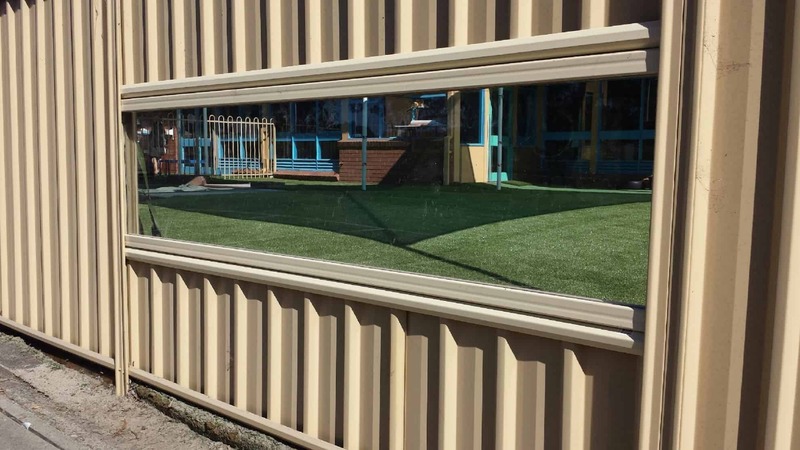 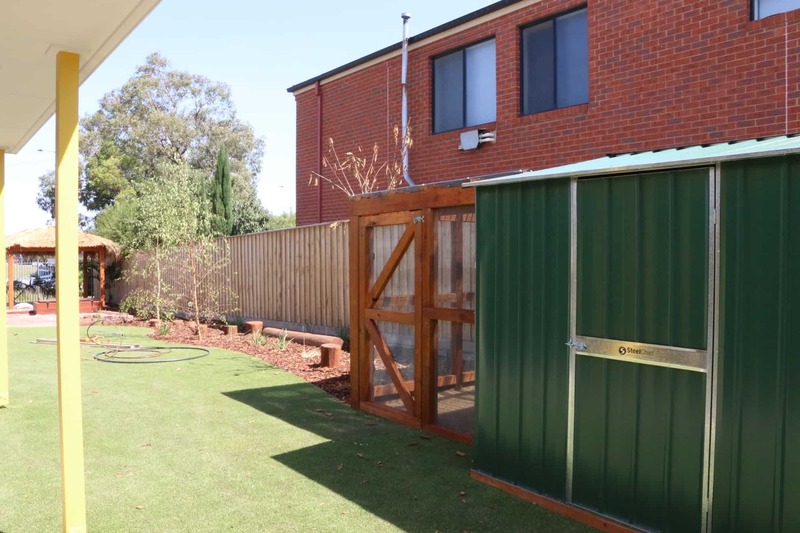 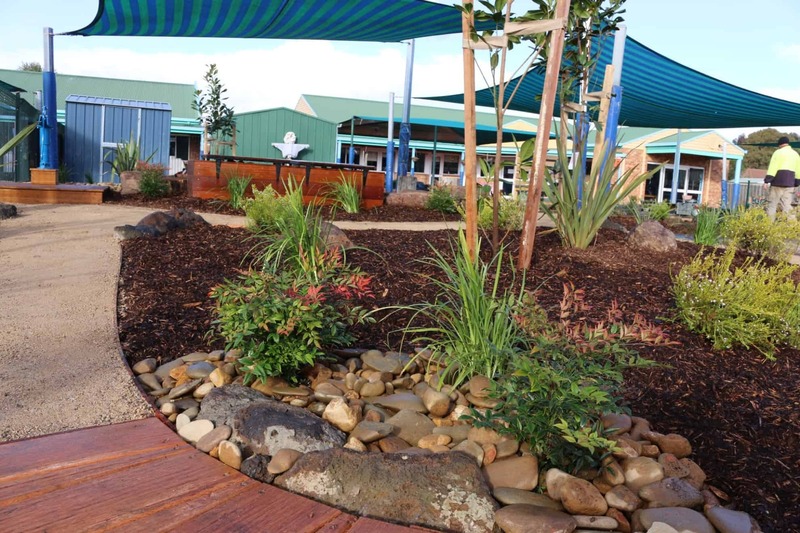 Package Landscapes Australia are professional, specialised child care landscapers, accredited and approved childcare playground auditors and are industry leaders in childcare playground design and childcare playground construction. 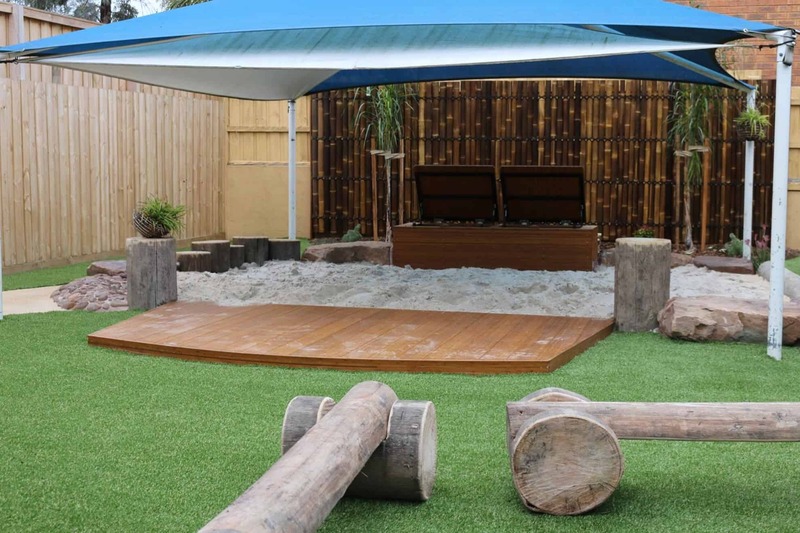 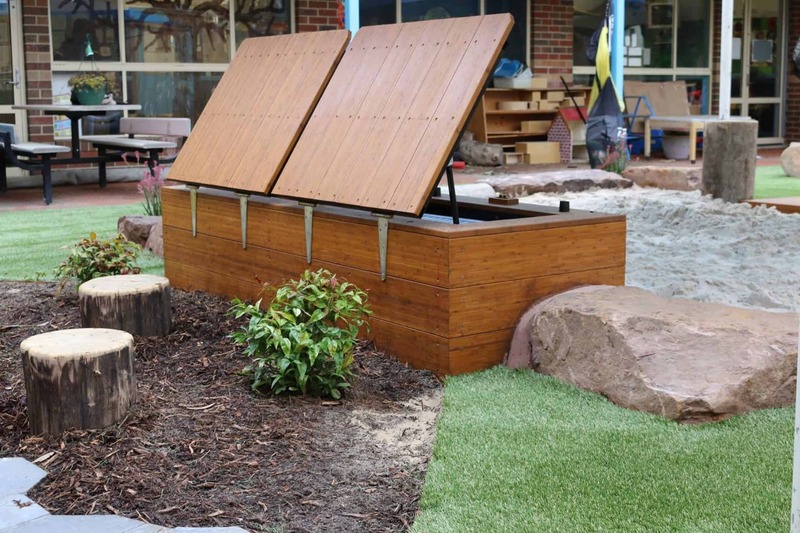 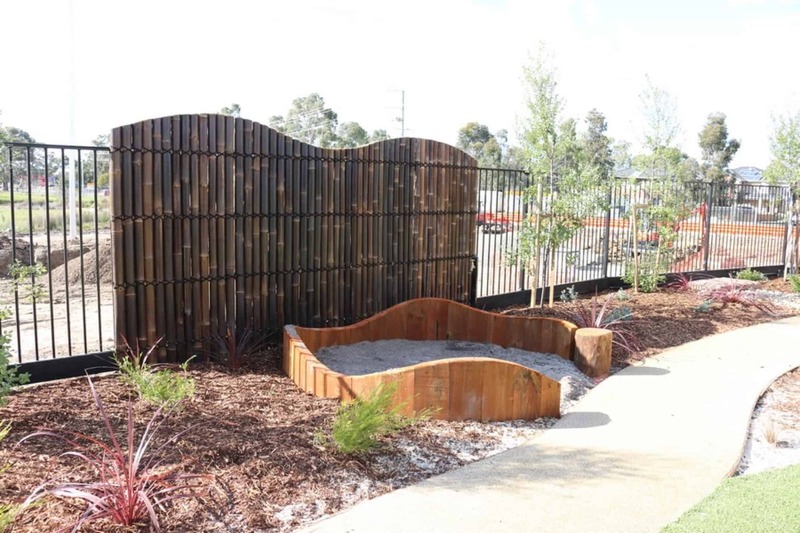 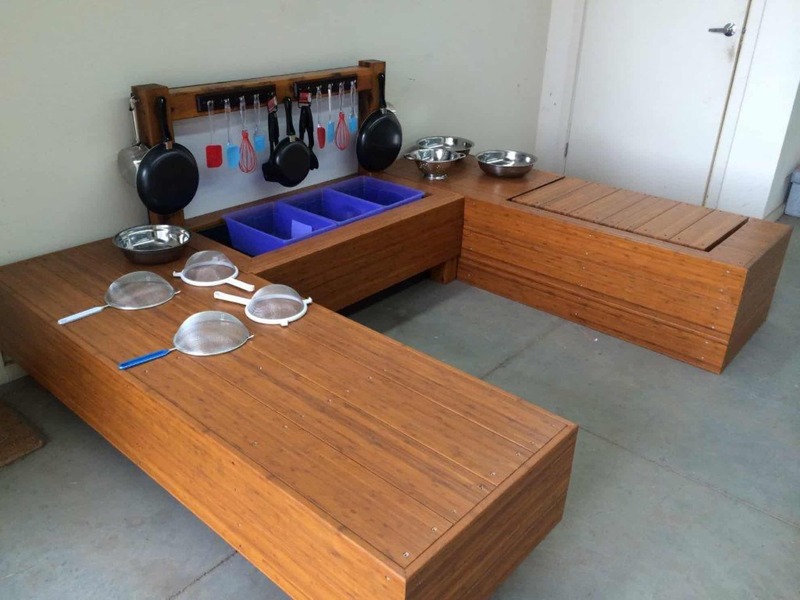 With more and more childcare centres across Australia favouring natural landscape playgrounds over ‘old school’ plastic equipment in childcare playground design, Package Landscapes Australia will work with the childcare centres to design and construct natural play spaces in childcare and for schools. 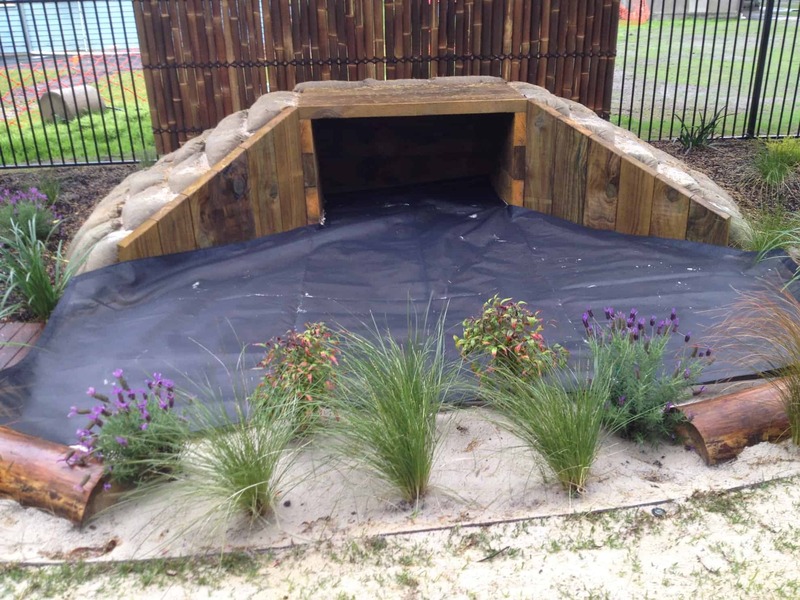 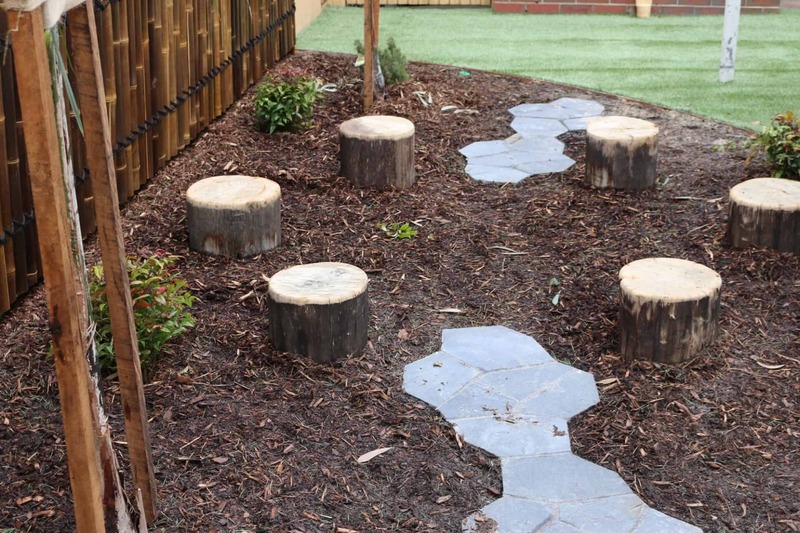 Our natural landscape playgrounds will encourage ‘natural play’, such as digging patches, bridges, gardens, planting, rocks, tunnels, stages for outdoor performances, veggie gardens and much, much more. 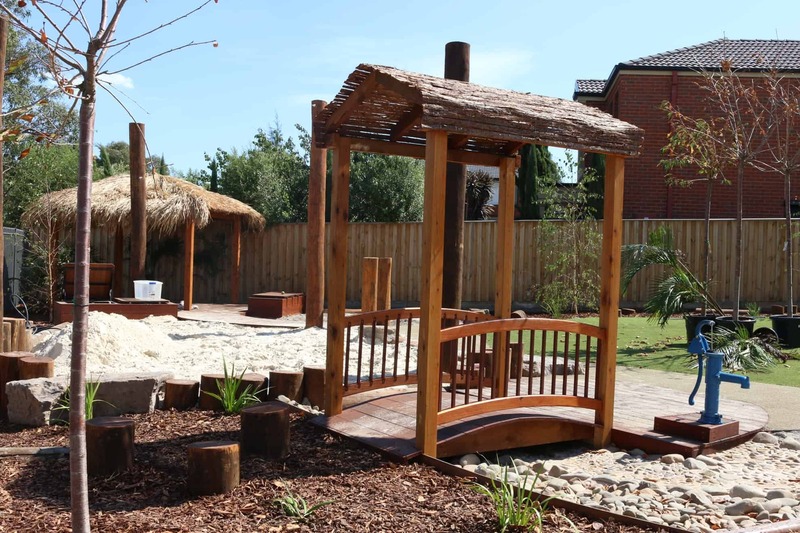 Our vision for child care landscaping is to see future children spending more time outdoors in natural play spaces, learning more about the environment, and being at one within nature’s own learning environment, thanks to these natural child care centre playgrounds. 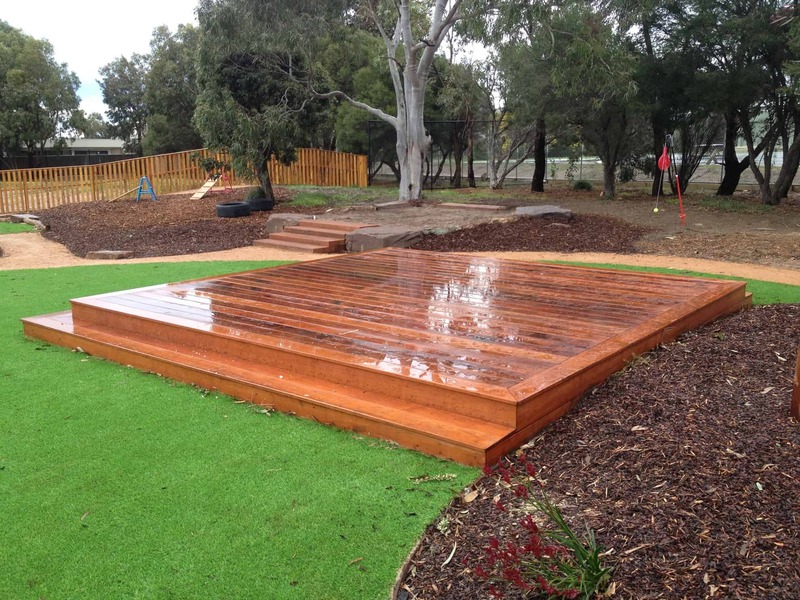 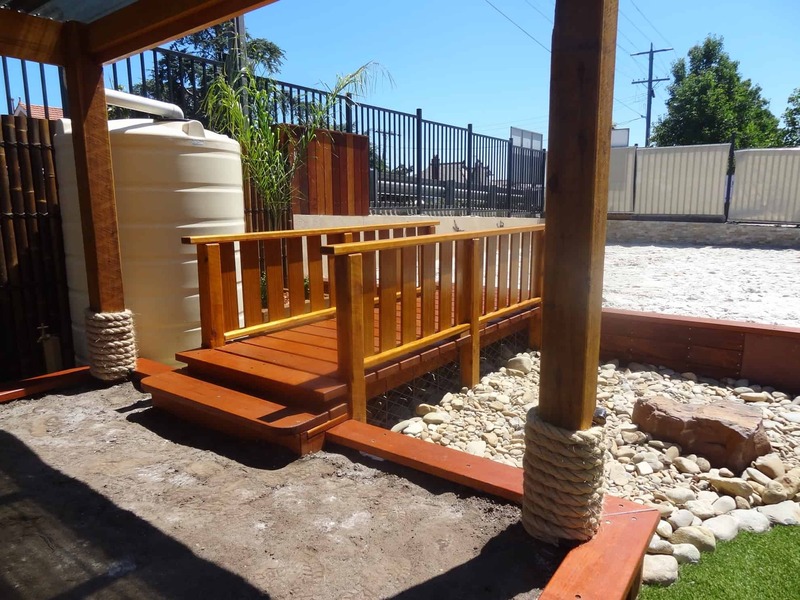 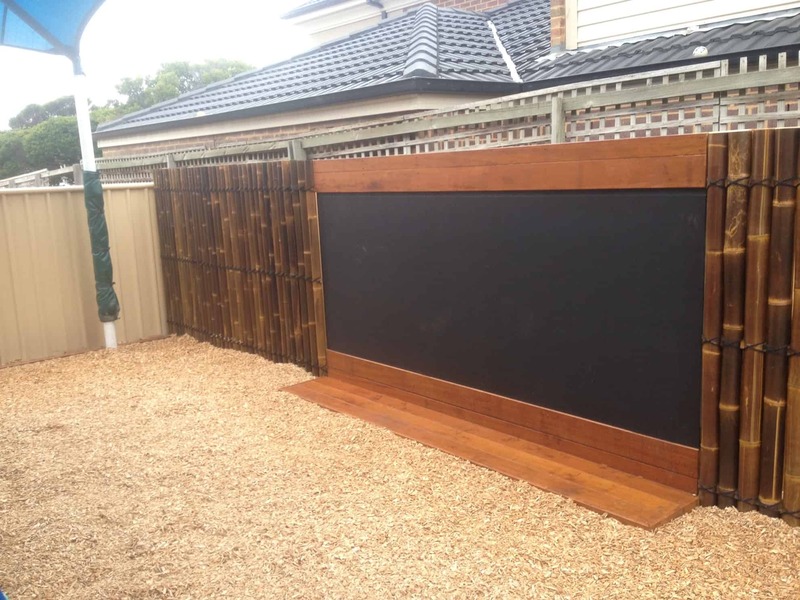 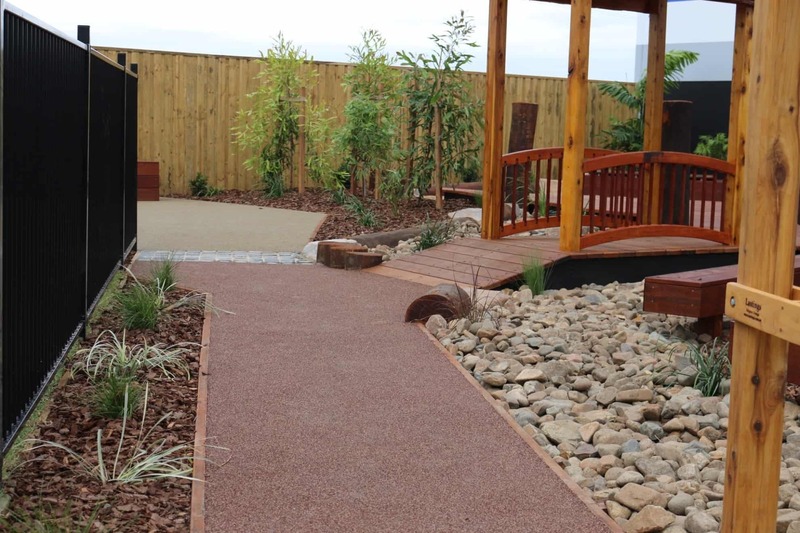 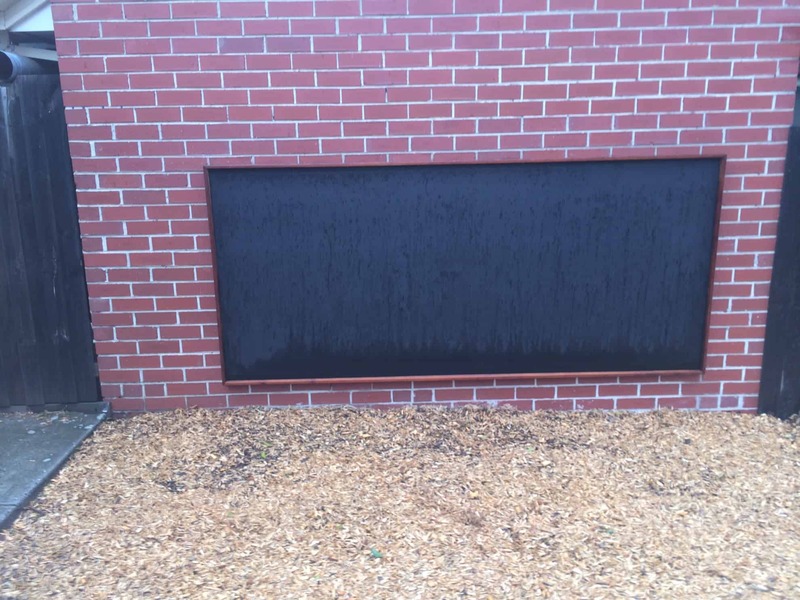 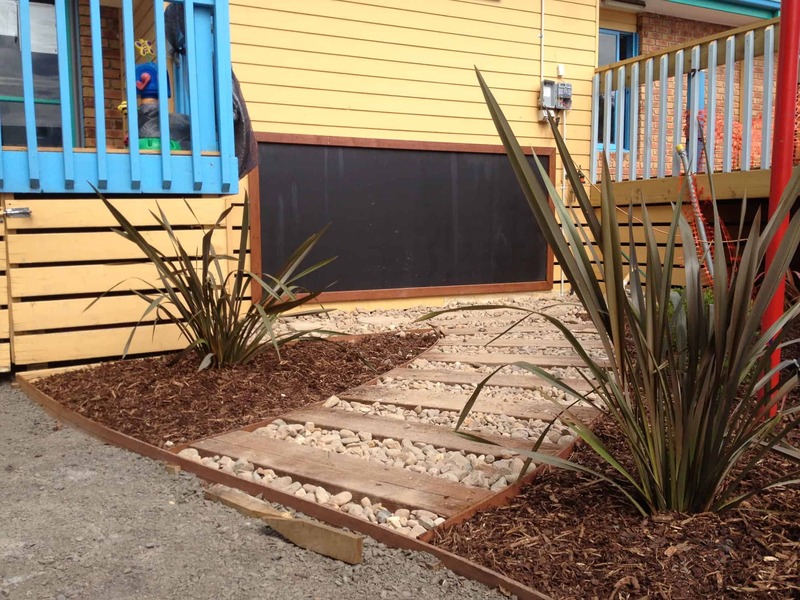 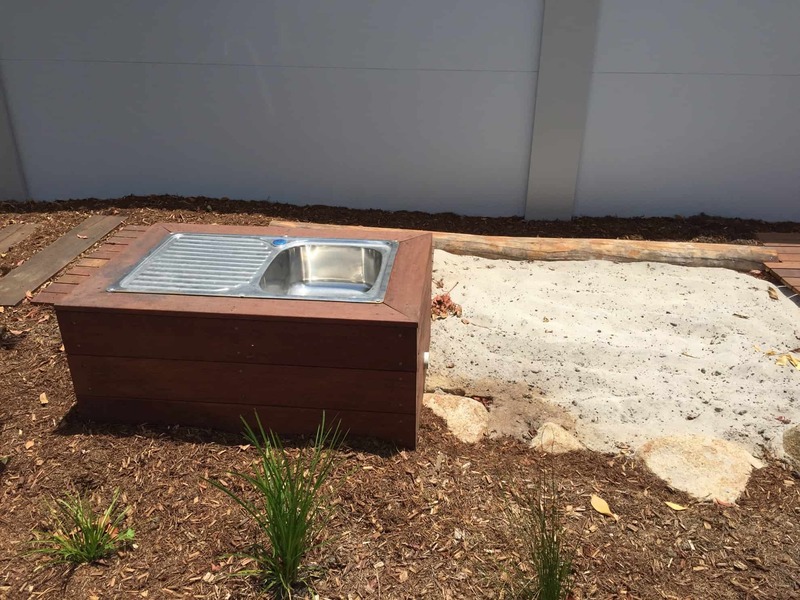 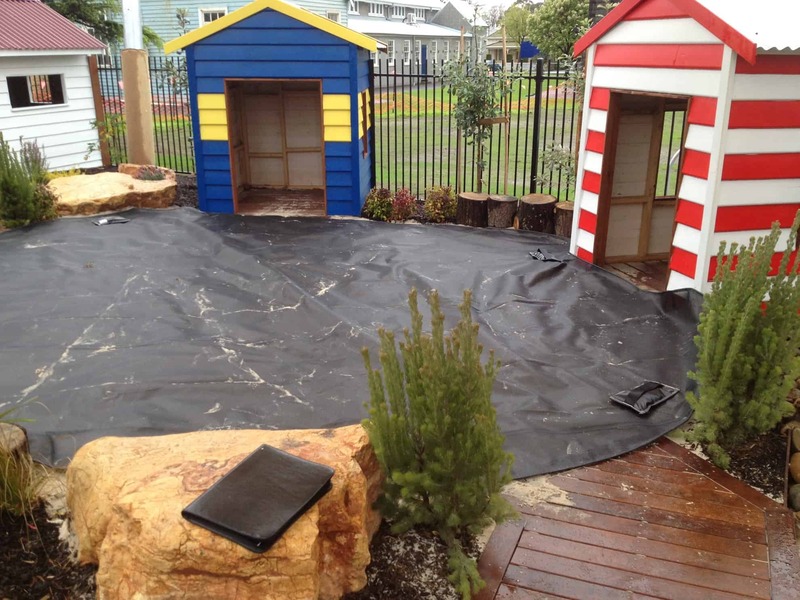 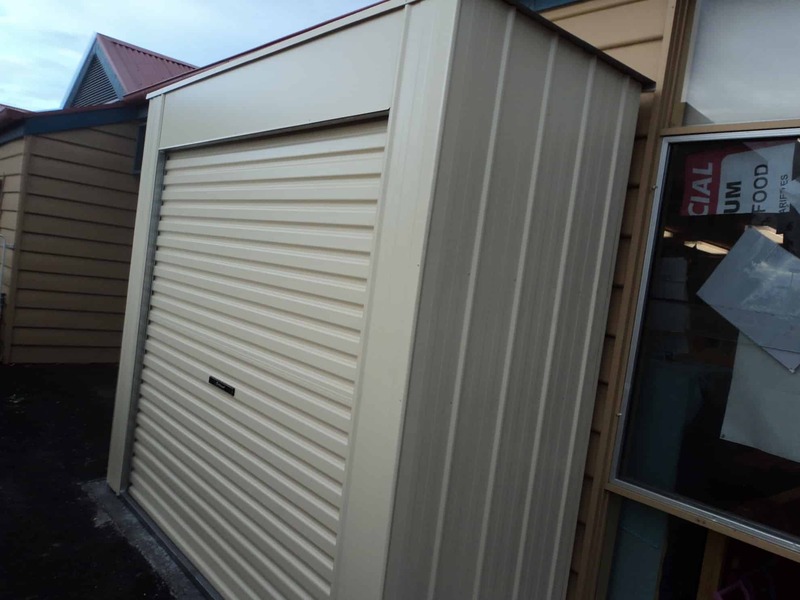 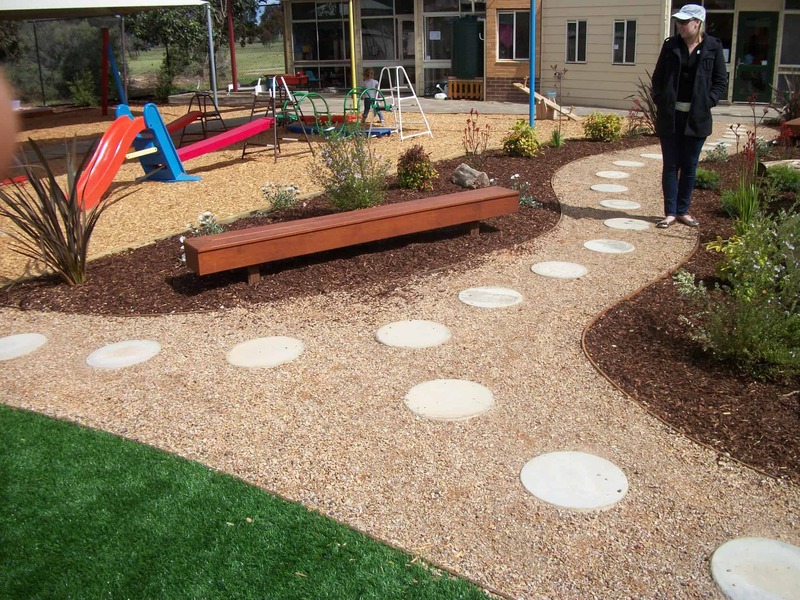 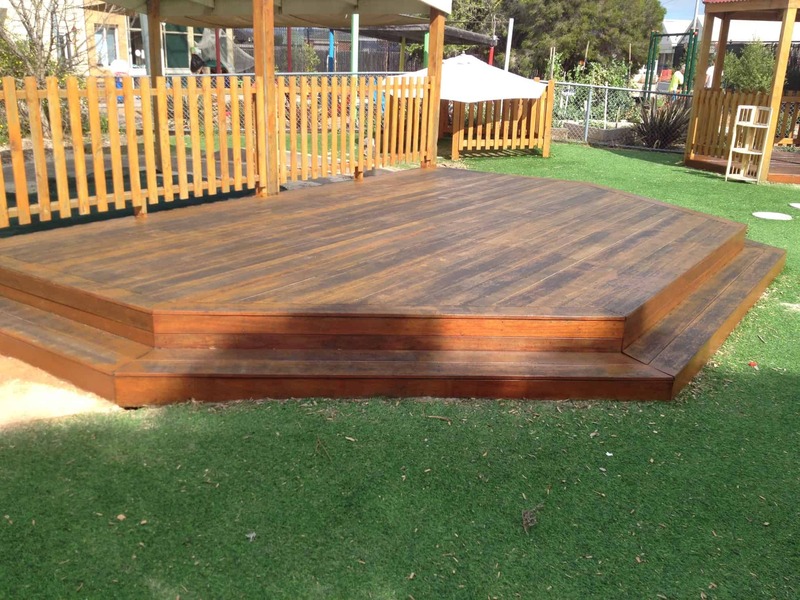 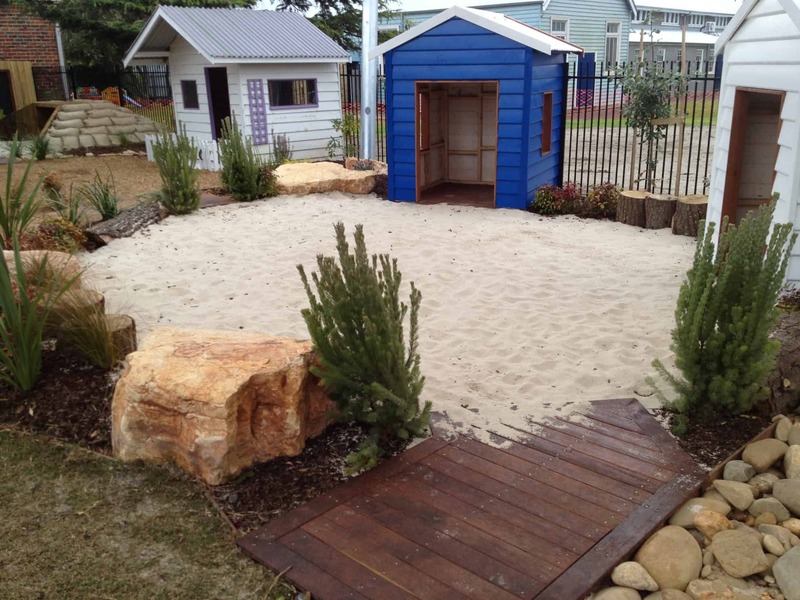 For the experts in natural playgrounds Australia’s child care centres can call on Package Landscapes Australia. 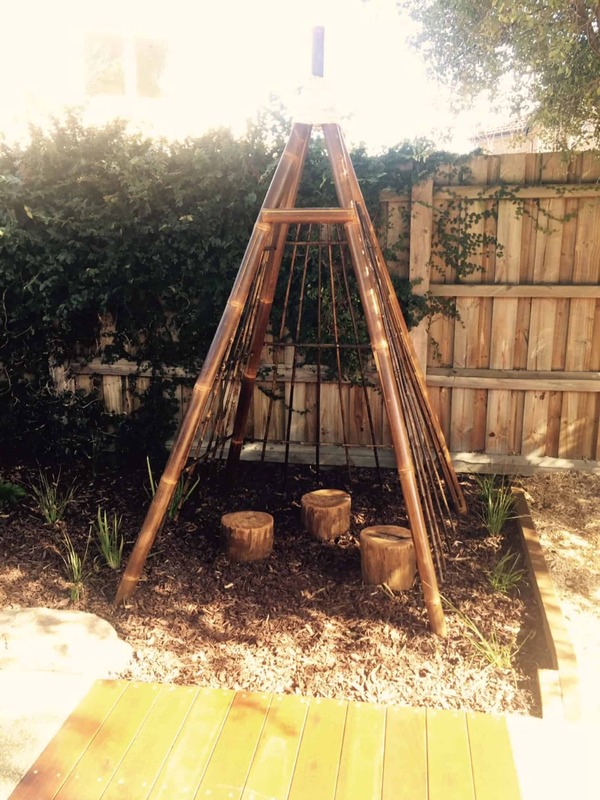 We have a cornucopia of natural playground ideas for early childhood backyards. 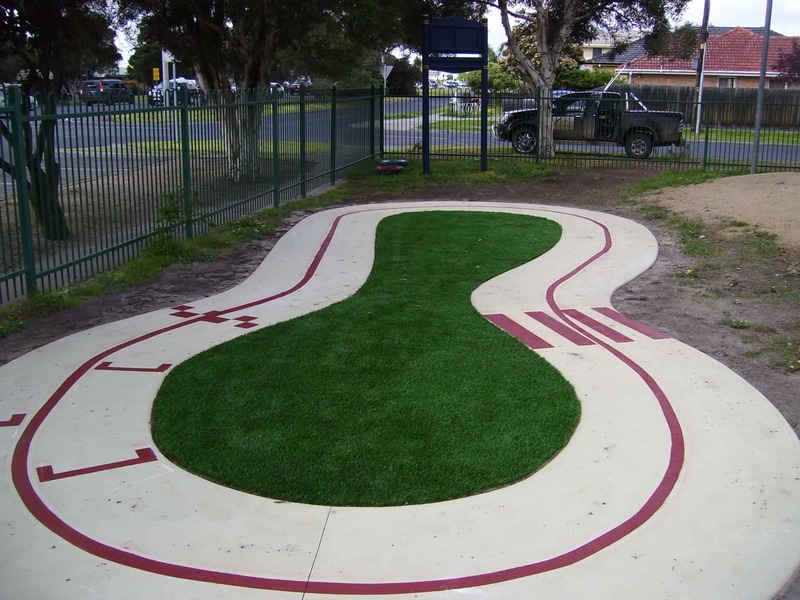 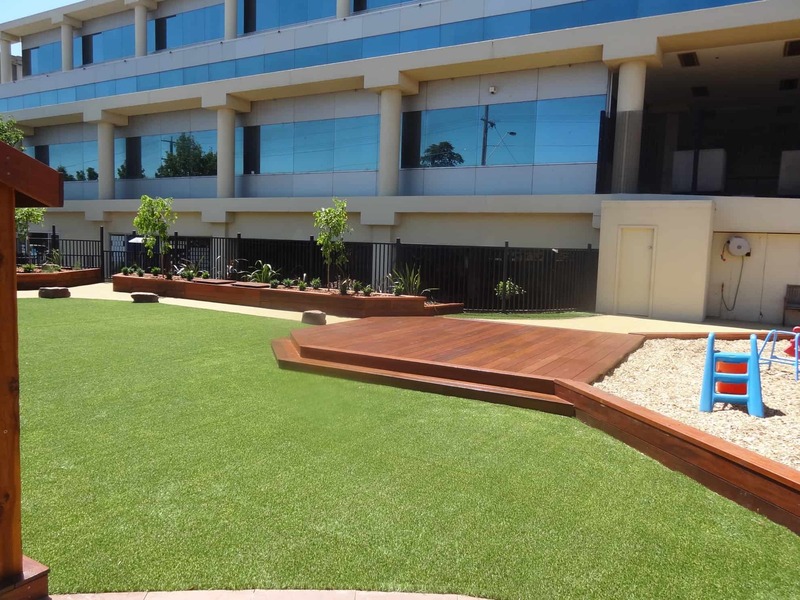 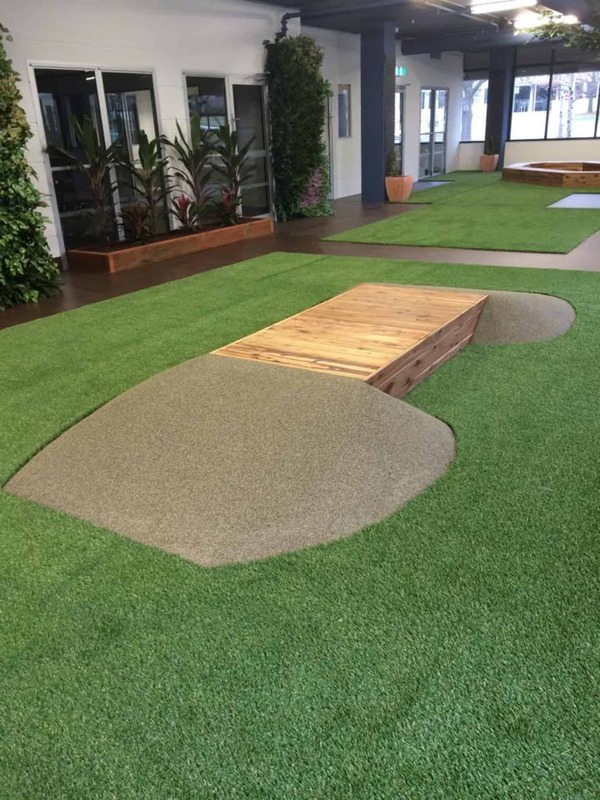 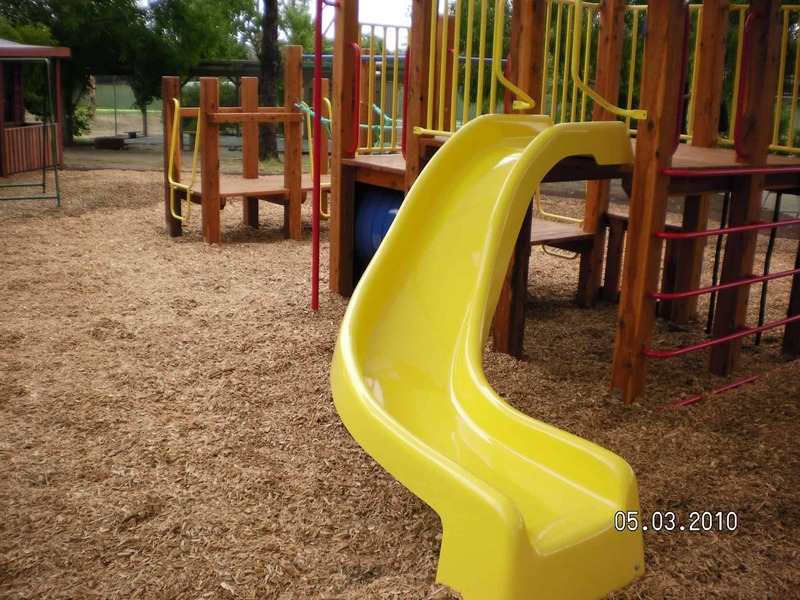 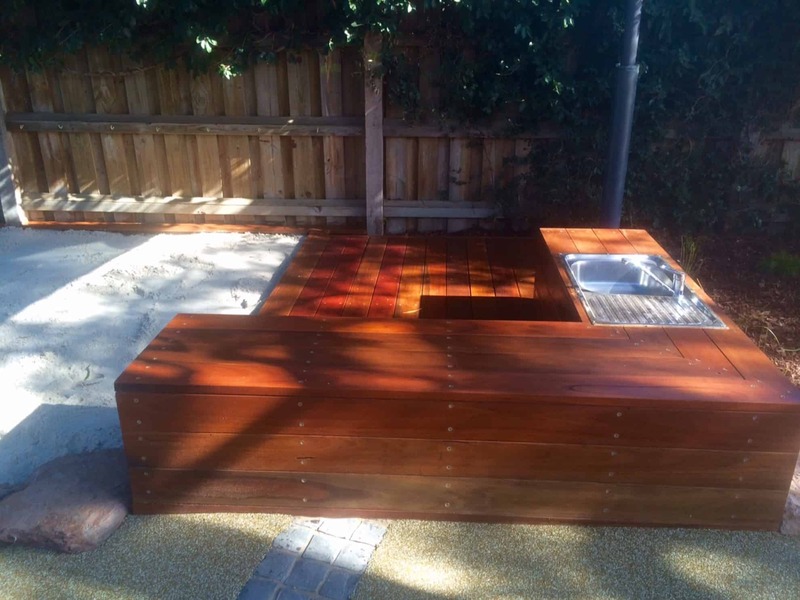 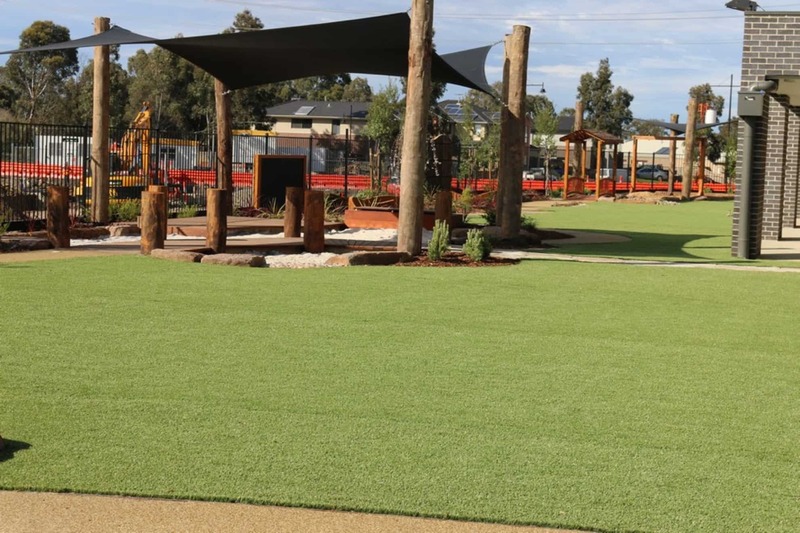 Package Landscapes Australia is up to date with playground requirements and all of the relevant certifications for natural play grounds in Melbourne, Brisbane, Perth, Sydney, Adelaide. 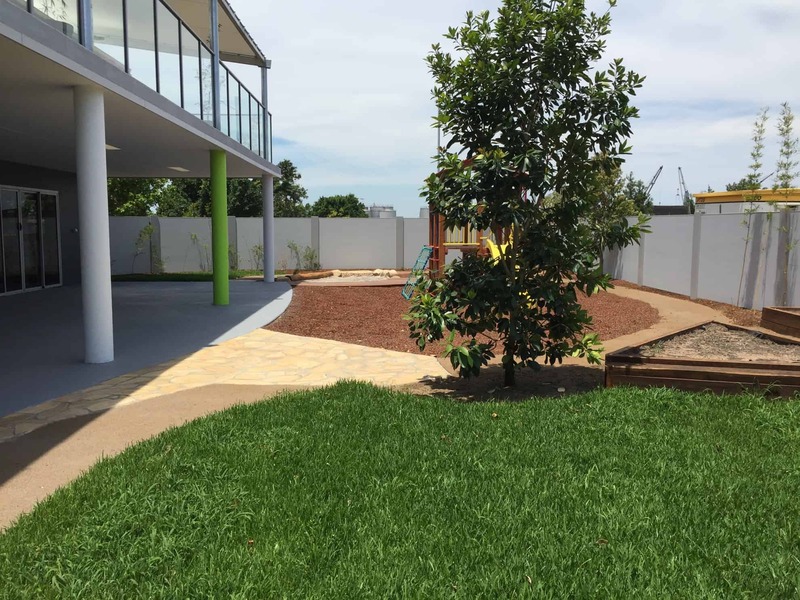 For each project, we ensure every child care landscaping job we complete meets the requirements, which exceeds industry standards for our customers, regardless of the size of the project. 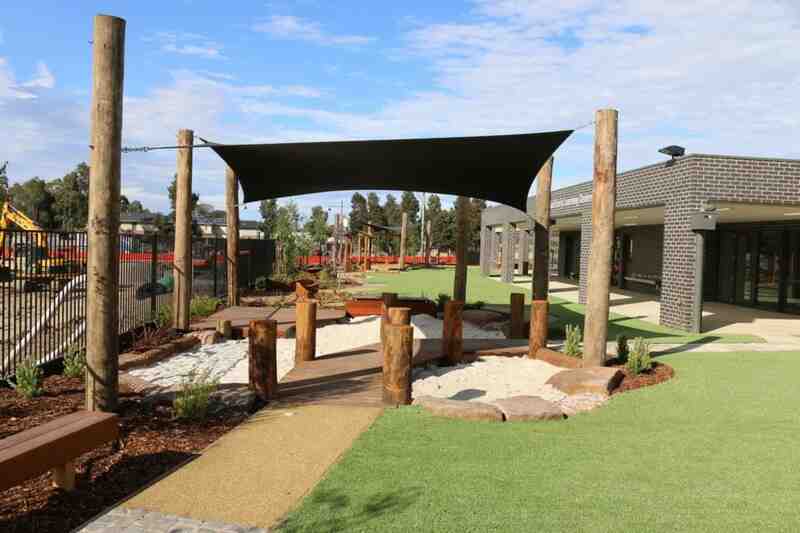 We provide natural playgrounds to Melbourne and Brisbane, Perth, Adelaide and Sydney. 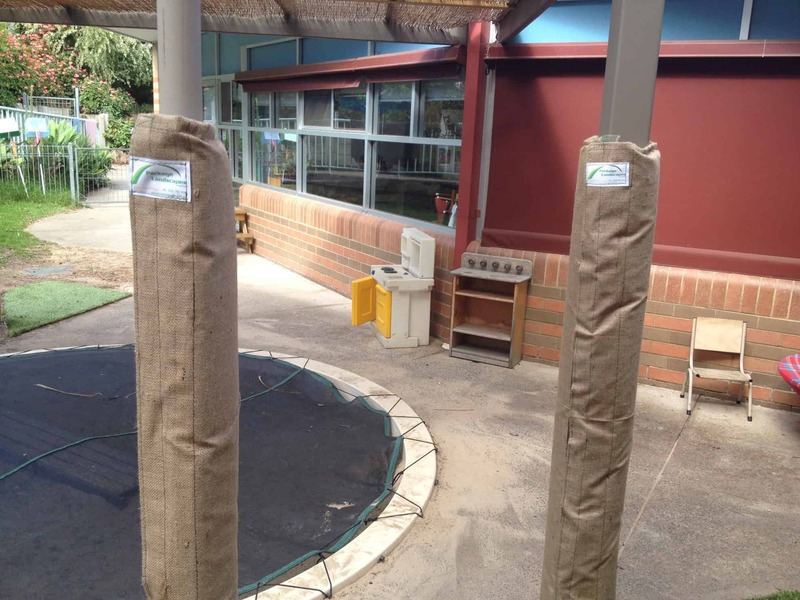 JSA are completed for every job to ensure a safe working environment for everyone involved, Package Landscapes Australia are fully insured and hold up to date public liability and indemnity certificates of currency, we are also council approved, whether we are constructing natural play spaces in Melbourne, Brisbane, Perth, Adelaide, and Sydney. 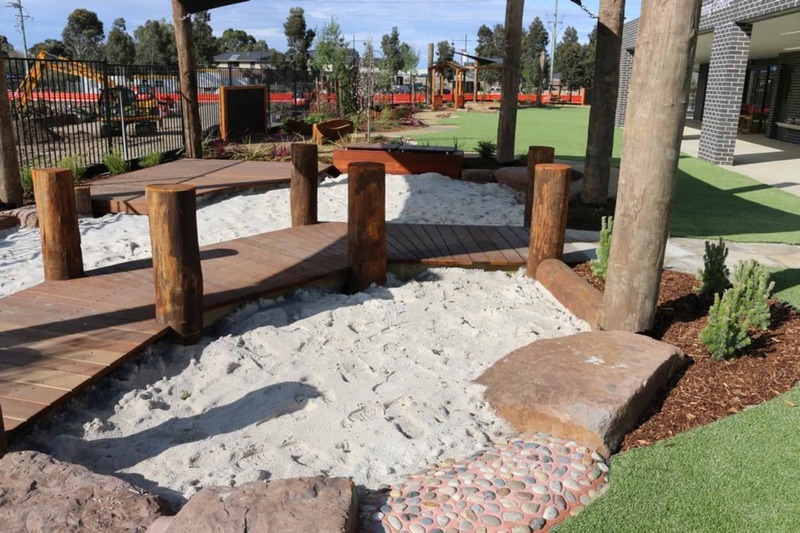 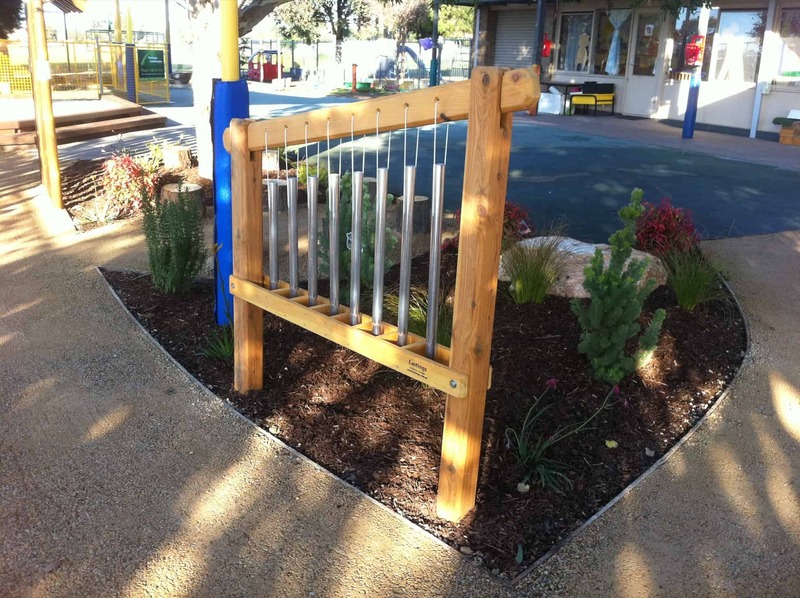 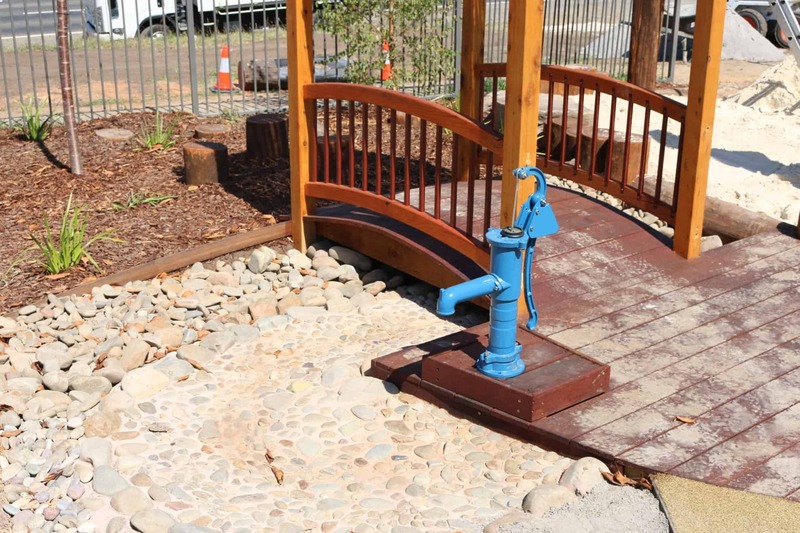 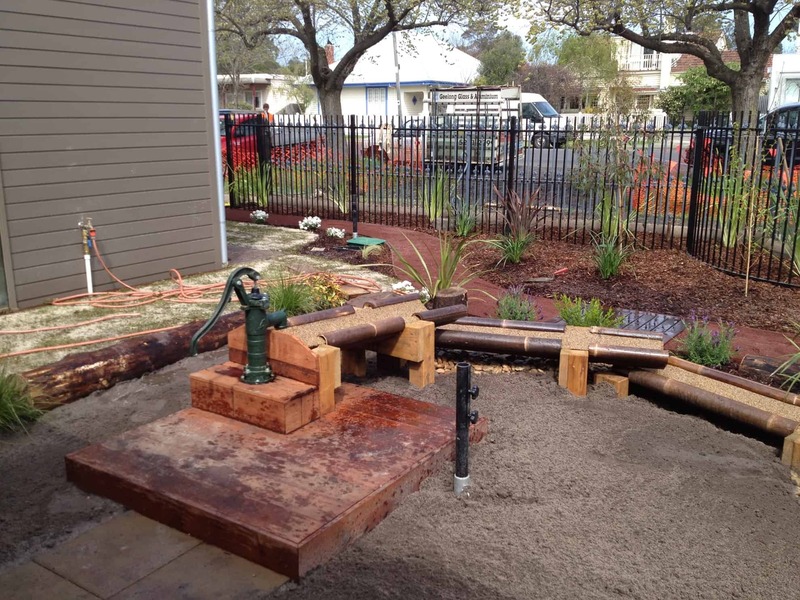 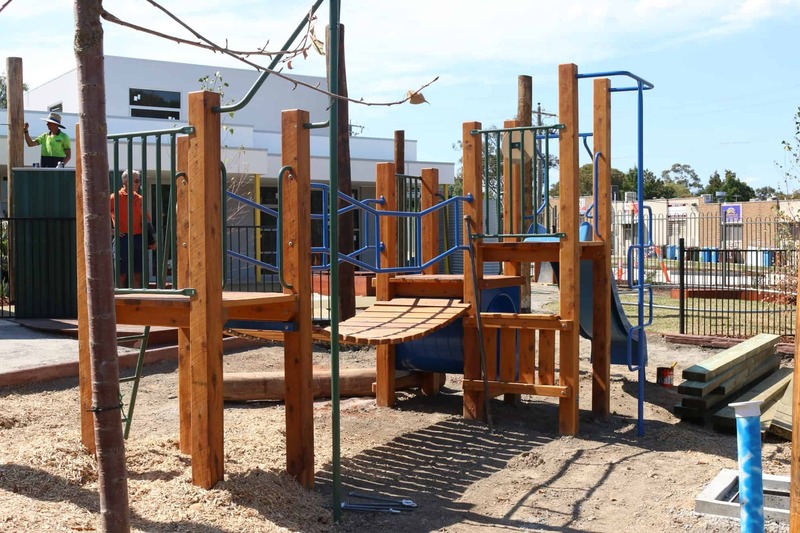 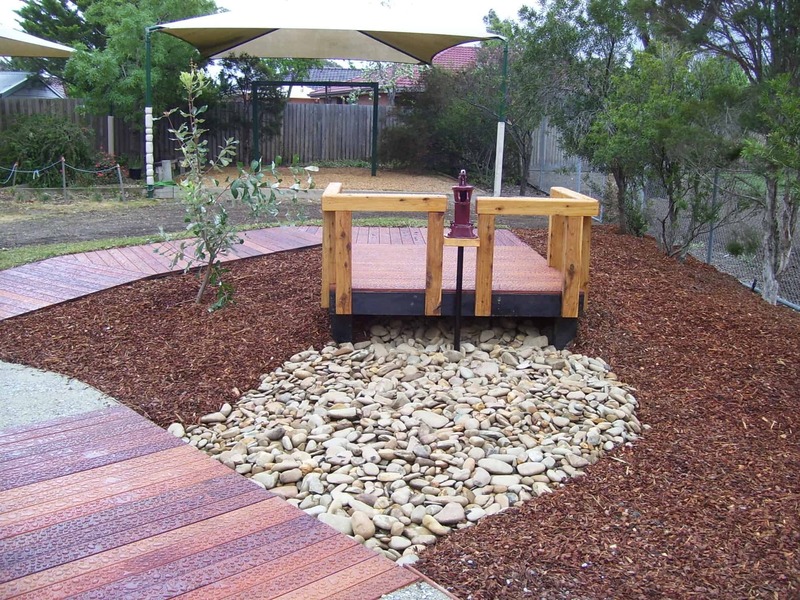 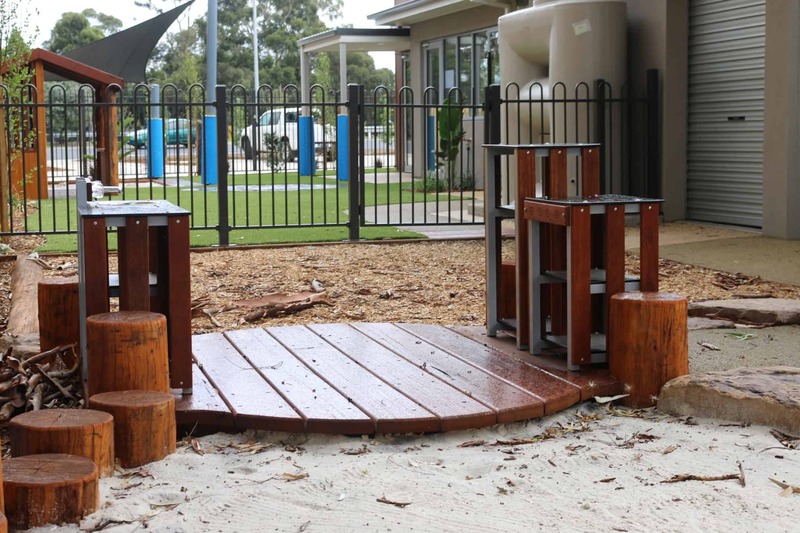 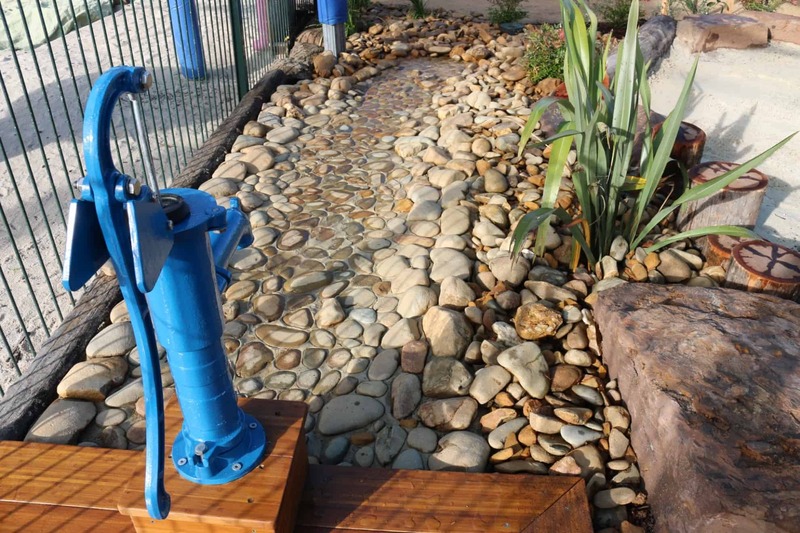 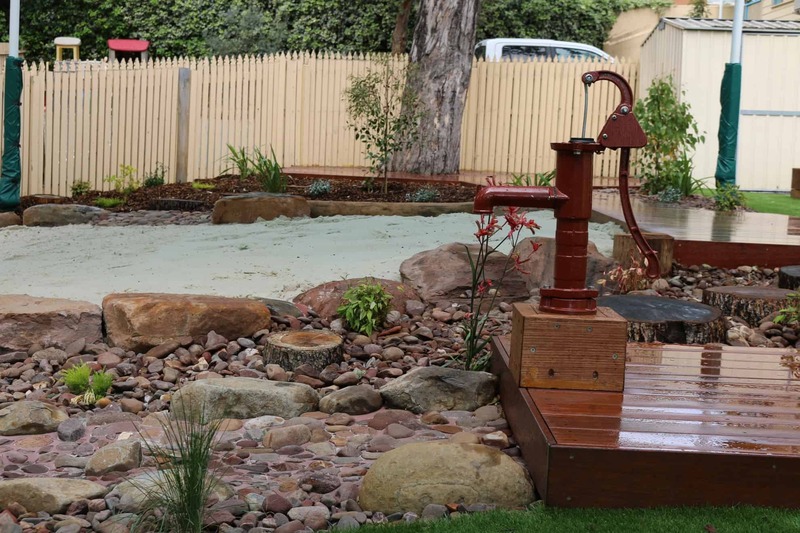 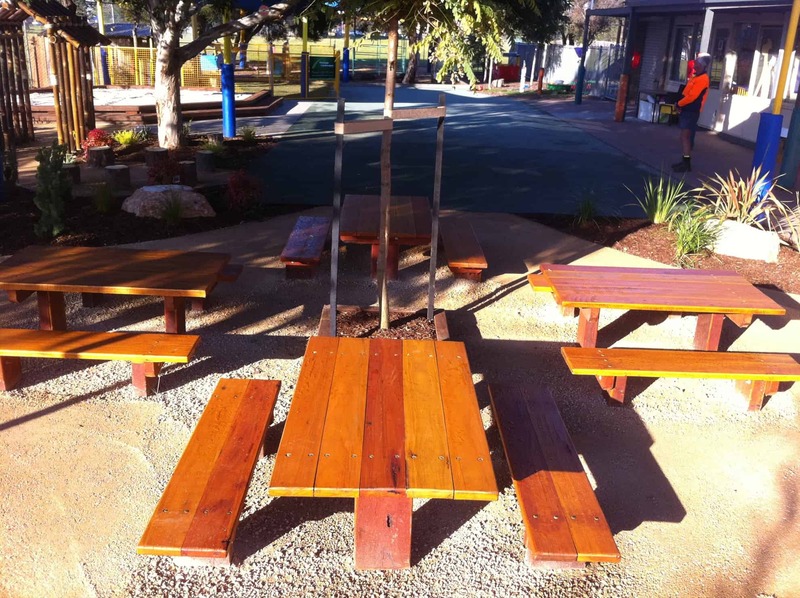 We have designed and built natural play grounds across Queensland, Victoria and other regional areas. 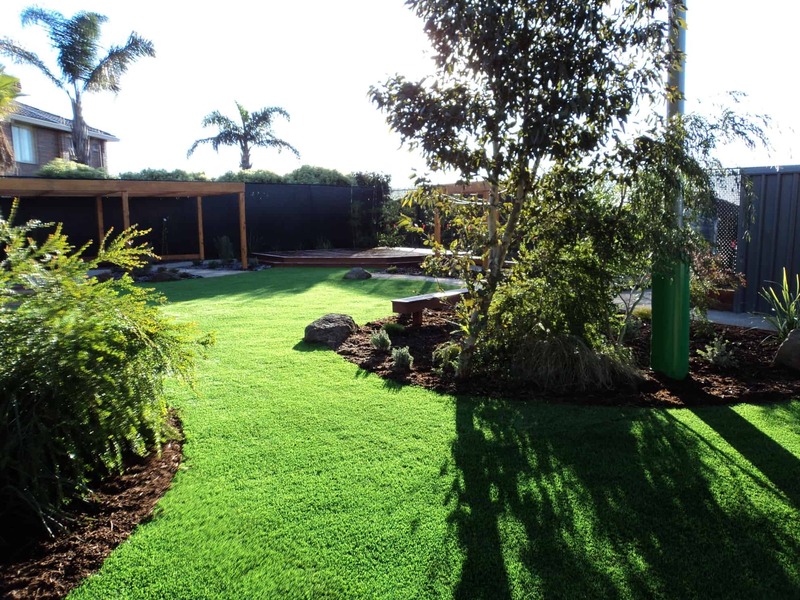 Wherever you are in Australia, give us a call! 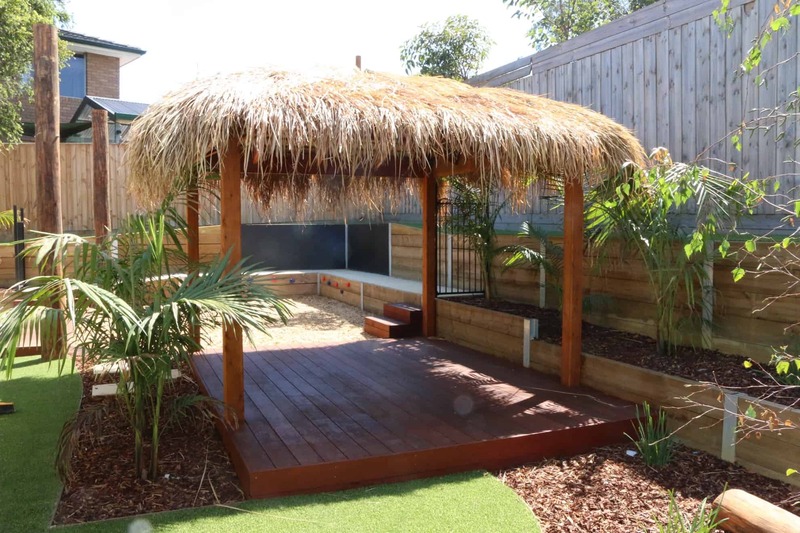 Should you require any additional information, or you would like to sample our large pool of testimonials and referrals please don’t hesitate to make contact with a member of our friendly team who will gladly assist you. 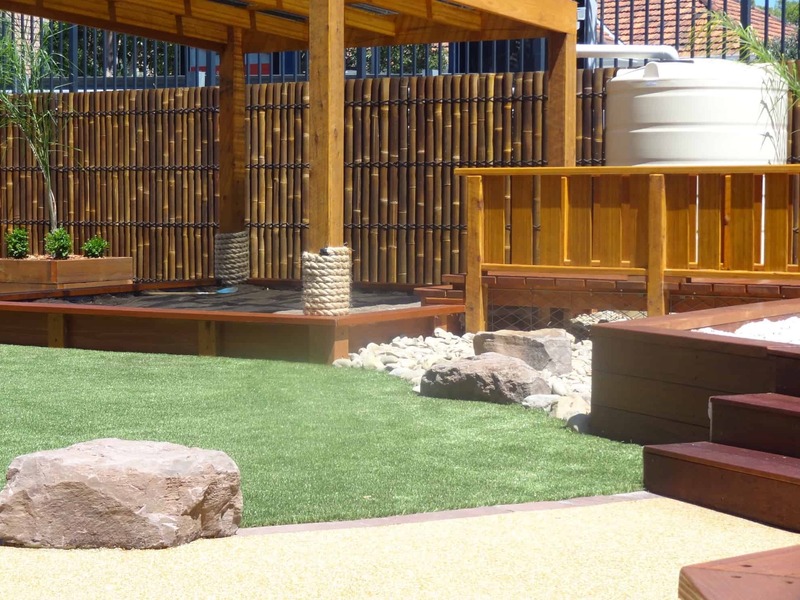 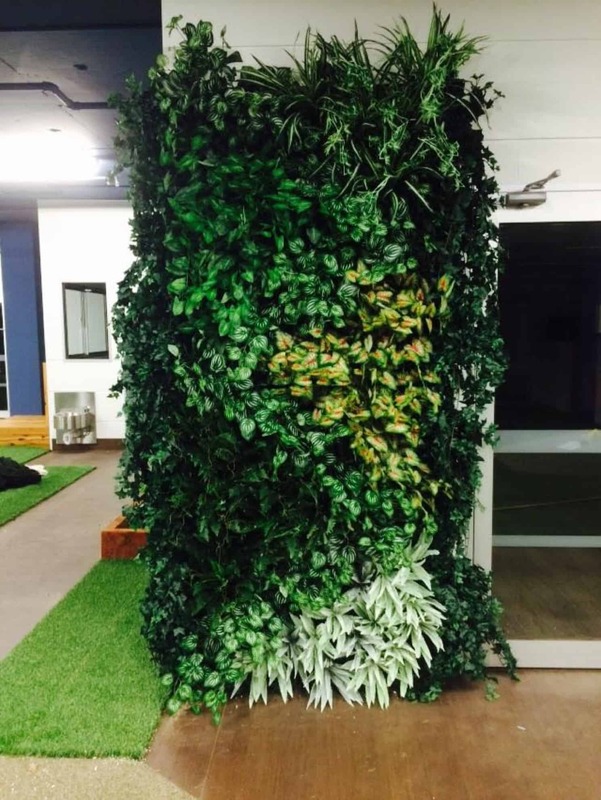 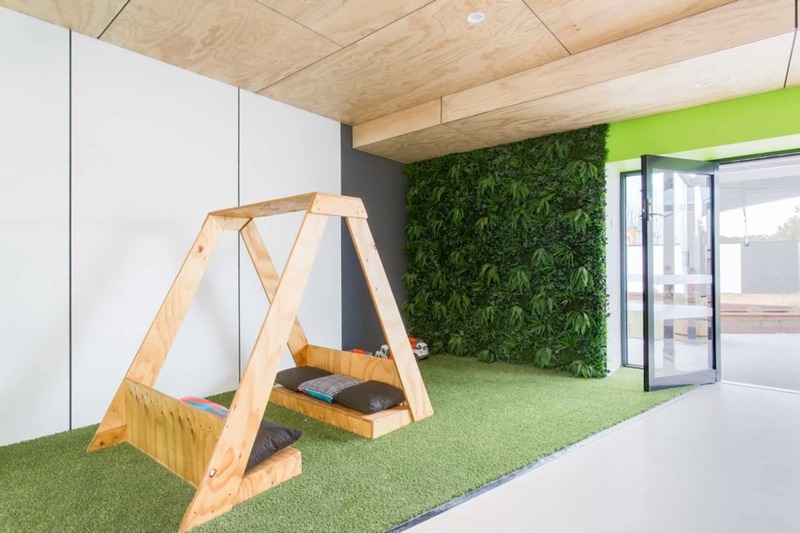 For natural play spaces indoors and outdoors, call us today!